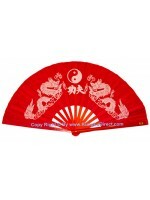 Beautiful design with Chinese caracters that say "Tai Chi" on either side the Ying and Yang symbol. 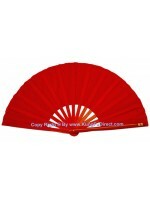 Light weight fan with bamboo ribs, come with 2 sizes.Fan size 13" weighs only 6 oz. 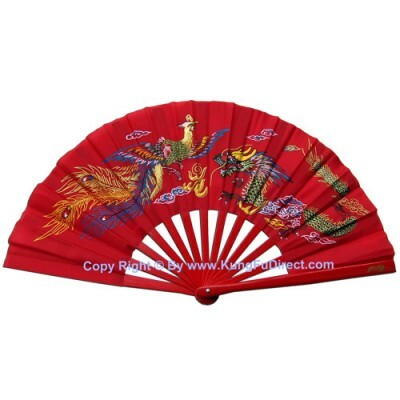 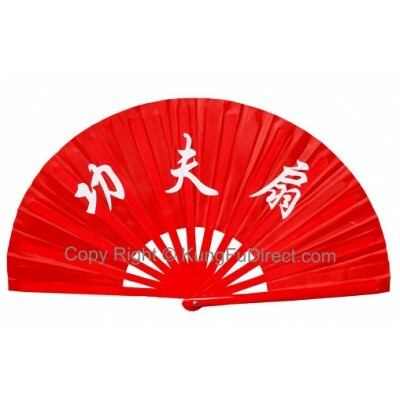 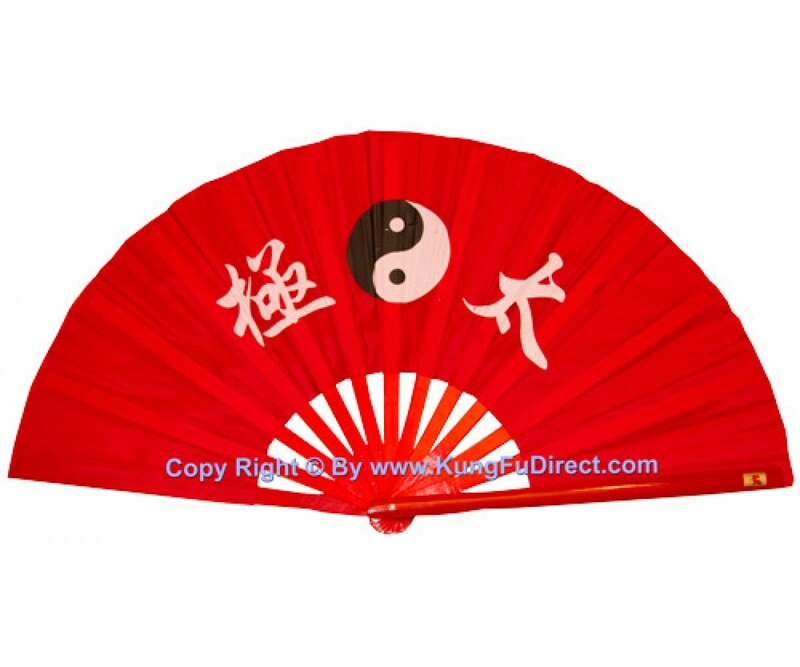 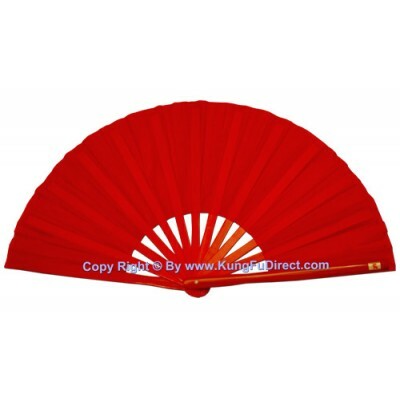 Fan Size 15..
Fan21 - Kung Fu Red Fan 13"
Light weight fan with bamboo, beautiful design with Chinese characters that say Kung Fu. 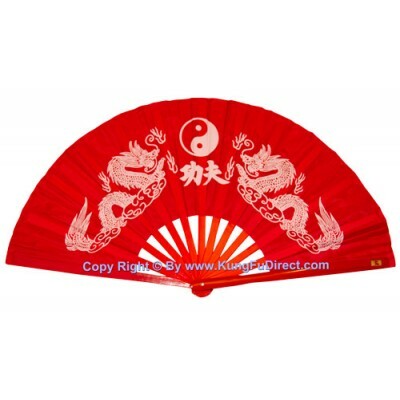 13inch..